Below is an interesting opinion piece posted in the Canberra Times by Elizabeth Boulton. We whole-heartedly agree with the statements of Elizabeth Boulton in this piece. In fact a number of the previous comments on this website suggest that this is a problem within scientific institutions such as the CSIRO. A large IQ or extremely indepth knowledge of a particular subject matter does immediately convey leadership qualities on those individuals. In fact many stories received relate to bullying behaviours from Team Leaders/Supervisors who themselves were researchers but a short time ago who have often been thrust into situations well outside their skills sets and comfort zones and have inadvertently become bullies because they have never received any form of meaningful instruction on how to develop leadership skills. This takes time and practice and a lot of support for the person undertaking the leadership role. When ill-prepared people are placed into a situation of great stress in what to them is a completely alien context, human nature kicks in. Whilst not an excuse for unconscionable behaviour, it demonstrates that the real problem lies higher up the management chain, who are supposed to possess these skills. What does this say about the Senior Executive Management Team of the CSIRO, when the CEO vows publicly to address inappropriate conduct within the organisation for which she is responsible and then proceeds to tacitly support those within her own executive who are known serial offenders, despite having the skills and knowledge and the expectation of staff to be able to act appropriately and fairly. What does the fact that Dr Clark speaks publicly about addressing the issue, yet behind closed doors challenging the validity of the claims of those who have been permanently scared as result of unchecked damaging behaviour. What does this say about Dr Clark’s own moral compass and fitness to lead? 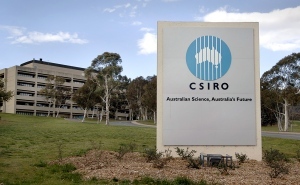 In June, The Canberra Times reported that the CSIRO had been handed a notice by Comcare to fix its alleged bullying culture by year’s end. With the deadline now due, the CSIRO reports the problem is in hand; staff have been fast-tracked through an e-learning module, and risk-management procedures have been reviewed. I’m not convinced. After a three-year sojourn in the science world, I would argue that the real issue here is underinvestment in leadership and management capacity. Even at the global level, statements in a key report by the Intergovernmental Panel on Climate Change – a peak global scientific body – indicate this is a problem. The IPCC declares that ”knowledge about how to create and enable leadership remains elusive”. This starts with recruitment. Although many officer cadets have already displayed good leadership aptitude as school captains, sports or community leaders, and some are ”natural leaders”, still no one would dream of putting them in front of soldiers until they undergo an 18-month training course. From private soldier to warrant officer, and from lieutenant to general, there is a steady feed of leadership and management training and education courses, varying from two to 12 months’ duration, tailored to meet the needs of different career stages. It’s a start and well-intentioned, but this investment is still absolutely inadequate and leaves managers in a vulnerable position. At the day-to-day level, in my three years in the science world there was no equity, privacy or fraud and OH&S-type training, and I can’t recall much emphasis on values such as integrity or tolerance. Bullying is ultimately about the unethical wielding of power. It can be used by those who have no legitimate power, do not know how to responsibly exercise authority or those who have a deep sense of inadequacy. Capable people do not need to bully – their performance stands for itself. When power and authority systems are not robust and fair, perverse versions of power and influence dominate. Strong ethical leadership is the main guardian against this type of distortion. The same lesson has been learnt in the army – under severe psychological conditions such as warfare, without strong ethical leadership, atrocities such as the My Lai massacre in Vietnam are more likely to occur. Today’s climate scientists suffer immense stress from which there is no rest and recreation or deployment home. They watch the death signals of the planet day in and day out, and are confronted by vicious attacks from climate sceptics (such as death threats and threats towards their families). The other deeply concerning issue is that there are only a few handfuls of people who are up to job of doing high-level science. You could take the view that Australia’s best scientists, those with an intellect up in the stratosphere, are like the Special Forces: strategic national assets. These people are walking around with a multi-million-dollar asset between their ears – but it’s not a missile, it is their brains. And what investment goes into managing these strategic national assets? Virtually none. Scientists, on their side, perhaps require some humility to admit that although they are the smartest kids on the block, they still ”may not know what they don’t know” and consequently display some openness to ideas about how to properly lead, rather than bully.